Steve Vito has been on the business side of media for over 35 years. In that time, he has sold advertising and event sponsorships for every possible medium including print, broadcast and now digital media. 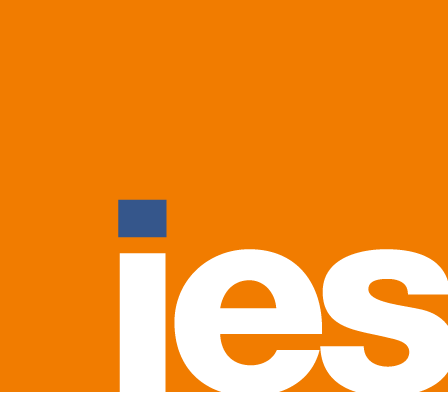 He has held senior sales management positions in several of the most highly regarded B-to-B media companies including IDG, Fairchild Publications, McGraw Hill and Atlantic Media. Up until recently, Steve was the president of Government CIO Media, a media firm focusing on delivering thought leadership and thought provoking content to C-level executives in federal government agencies. Fred Diamond: Steve, for the Sales Game Changers listening around the globe, tell us a little bit that they might not know about the federal marketplace – what’s unique about that marketplace and why have you chosen to focus on that. Steve Vito: Great question. What the federal government buys essentially is the same as what any company buys. How they buy, though, is dramatically different. There’s procurement regulations, there’s a whole list of things that they’re out of rhythm with the regular non-government market. But it’s an enormous market, it’s $100 billion every year spent on IT and IT services. However, it’s not a market for the faint at heart. It takes a lot of time, a lot of patience and even a lot of money to sell into this market. I love it for one reason – I’ve made so many really strong relationships in this market, people that have become my friends. It’s big in terms of dollars, as I said, 100 billion. It’s not big in terms of people. Fred Diamond: Good. Tell us a little bit about your career. Again, you work for some of the great media companies. How did you first get into sales as a career? Steve Vito: I did it out of desperation, I needed a summer job. I sold home subscription delivery for the Providence Journal. I was that telemarketer who used to call at dinner time, and of course on those days people didn’t have caller ID and they couldn’t block your calls, so I would call people and unfortunately annoy a lot of them. Fred Diamond: Selling Providence Journal subscriptions, what are some of the lessons that you’ve learned from that first job being on the phone, calling people during dinner that has stuck with you today? Steve Vito: I’ve got to tell you, the lesson I learned in that sales job has stuck with me forever, and that is: You will sell more with your ears than you will with your mouth. I learned that as a telemarketer. The other thing – and I’ve learned over the years – is that to sell anything, a salesperson needs two things: They need credibility and they need enthusiasm. If they’re credible but not enthusiastic or if they’re enthusiastic but not credible, they will sell nothing. You need both credibility and enthusiasm. Fred Diamond: You just mentioned you can sell more with your ears than your mouth and a couple of the people that we’ve interviewed on the Sales Game Changers podcasts have said things like, “That’s why you have two ears and one mouth, use them in that order”. Tell us a little more about that, how do you get good at that? How do you get good at the listening side of the sales equation as compared to the urge that a lot of people have to talk? Steve Vito: I’ll tell you, it is natural to want to express your opinion, to express your thoughts to somebody. It is not natural to want to listen to what they have to say so if you go in and just listen, lead with your ears, you will build a relationship with somebody and you will have a better empathy for their position and how you have to position your product for them. I can’t overstate it, I remember my first sales job, I was so eager to tell our message that I just wasn’t listening. After a while, you get the knack of it. You have to hear what the customer is telling and by the way, the fact that you’re just listening to them will build a relationship. Fred Diamond: How do you do that? You just kind of know it and just kind of make consciously just say to yourself, “Don’t talk”? Steve Vito: Correct, or ask questions. Questions are so powerful. If somebody makes whatever comment they make and you ask a follow-up question, they feel validated, they feel this person is not just gratuitous, they really are listening to what I have to say. And as I said, it goes a long way to building that credibility. Fred Diamond: Interesting. Tell us a little more about you. Steve Vito, what specifically are you an expert in? Tell us a little more about your specific area of brilliance. Steve Vito: [Laughs] I don’t know if brilliance is the right word, but I do pride myself on my ability to formulate relationships with clients and prospects and there’s really no secret on how to do that. I care about my clients and I think in terms of long term relationship rather than a short term sale. I’ve had many clients tell me that they appreciated the fact that I helped them – whatever the issue was at hand – I helped them get through a particular area without asking for any order. I have a long term perspective with my clients and I think if there’s one thing that I pride myself on is building those relationships. Fred Diamond: What are some of the things that you do to build the relationships? Again, you’ve been selling into this marketplace for, we mentioned, close to 25 somewhat years. Is it acknowledging them on their birthday? What are some of the strategies you do to keep? Steve Vito: It’s funny, I don’t do that. I don’t necessarily get too much into their personal lives but I do try to give them good advice. Just yesterday I had lunch with somebody, a client in a previous position and hopefully a client coming up and we had a terrific lunch. He sent me a wonderful email following that lunch saying how much he treasured my opinion on marketing communications. It meant the world to me. I know I have a huge leg up when he is about to make his media buy, I have a huge leg up over my competition because of that. Fred Diamond: Speaking about marketing communications, we talked about the uniqueness of the federal government marketplace which is where you’ve done a lot of your focus. Why don’t you tell us a little bit about selling media services and what some of the things that the Sales Game Changers listening in today may not know? Steve Vito: I can’t overstate how much media has changed over the years. It’s been dramatic, the whole business model has changed but some things are still the same. Sales people need air cover and marketing communications provides that. Yes, delivery of that message has changed dramatically and measuring the effectiveness of the message has changed dramatically. However, it’s still important for company A to formulate their message and to deliver it – however means they want to – deliver it to a prospect. That supports the salesperson’s effort. If a salesperson goes into a call and they spend the first 15, 20 minutes just verifying who their company is and what they stand for, they’re losing precious time and one of the things that we have less and less of now is time. Fred Diamond: Talk about some of the mentors. Again, you’ve had a great career, you’ve worked for some great places, I’m sure you’ve worked for some amazing people who have helped you develop your career. Tell us about some of the impactful sales career mentors that have helped you along and how they impacted your career. Steve Vito: To this day, there’s two people that stand out in my mind. One was my first boss at a real media job at Fairchild Publications, Wally Palmer, and a colleague, Bernie Ventry. He was a salesperson, too. They took me under their wing, they didn’t have to and they would just the consummate salespeople. They were smart, they were competitive, they were aggressive but professional and both of them just helped me out immensely. They were outstanding salespeople and I can honestly say I would never have enjoyed the same level of success professionally if I had never met them. Fred Diamond: Would you recommend people getting into media sales today? Steve Vito: Yes, absolutely because it’s fun. It’s a very people driven business and if you are the type of person that – you have to have all the typical traits: competitive, aggressive, professional. But if you’re a person that wants to get involved in meeting a lot of people, yeah, I highly recommend media. Fred Diamond: It’s interesting that you were just talking about the relationships that you developed and various parts of my career I’ve purchased tons of media. I’ve purchased advertising and eventually online and things like that, and some of the relationships that I best remember were from the sales professionals who sold to me. Originally, I remember thinking that, “Yeah, he’s a sales guy” or “She’s a salesperson” and afterwards, thinking them through we kind of realize that the really good ones provided value and insights. They helped me understand not just why this was a good product I was buying, this was a good ad space, all that stuff, but how it was going to significantly help me reach my sales goals. Steve Vito: It’s so true, and I always felt if a client asked me, “How much does this cost, Steve?” In a way I sort of felt I didn’t do my job. What I really wanted to sell is what I was going to achieve for them and the price is incidental. Now, I’m not naive, I know price is important but the fact is if I could sell the vision of what I wanted to achieve for them, price was just an incidental thing. Fred Diamond: I have a follow up to that. We talked about how media sales have changed. Have the demands of the customer changed? When you’re buying print back in the day, it’s kind of hard to understand the ROI. Maybe you’d get some impressions, but it was really hard to see did it lead to physical sales. Now, there’s such a demand on your marketing dollars to perform. How has that changed? How has the customer’s demand on media changed? Steve Vito: Absolutely has changed dramatically. They can put tags on their own advertisements and they can tell you how many times people have viewed it or downloaded it. What also has changed at least in the government market is how people think of creative. It’s no longer just banner ads. Now they are so focused on attaining two things, one thought leadership and two to generate quality leads. There’s good and bad to both and I would say unfortunately too many companies think of it as an either or, either they’re going to generate leads or they’re going to do thought leadership. I firmly believe that companies have to do both so now what you’re seeing is a strong rise in sponsored content which I think is terrific because it can generate quality leads and it can provide thought leadership. That’s one of the things why events are so prominent in the government market and even outside the government market. Media companies today have to do a lot of events because the demand for that from sponsors is so high. Fred Diamond: What are two of the biggest challenges you face today as a sales leader? Steve Vito: Time and the shortage of it. Clients have less time, there’s more distractions than ever. I have less time, everybody has less time. We’re all with email and everything else. We all have so many distractions, you have to really choreograph your meetings to get the maximum of out it with the minimum amount of time. Again, as I said I’m a big believer of leading with your ears so you have to know how to navigate that while trying to get to a particular point with the discussion. I think the second challenge is specific to media. I cannot tell you how much media has changed in the 35 years I’ve been involved with it and I think it’s becoming a lot harder to sell because customers have a lot more options and in one degree it’s good, in other degree it unfortunately confuses the discussions that you have. Fred Diamond: Why don’t you take us back to the #1 specific sale success or win from your career that you’re most proud of? Steve Vito: I don’t know if there’s one, but I’ll tell you one that I am proud of and it happened when I was working for a PR advertising agency, a relatively small agency in the government market. We were trying to make some headway with the division of Hewlett Packard, the software division that was selling into the government market and even though they were a division of a division of a division, they still were enormous and they had a big New York ad agency. Basically, what I did is I built a very strong relationship with the people there and I tried to position our ad agency, our PR agency with a deep understanding of the government market, the government prospect, something that the New York ad agency – as good as they were – just did not have. We won that account that ultimately grew to a seven figure account. To this day, I have very strong relationships with the people that work there and a couple of them have moved on to different companies, I’m doing business with them across several companies now. We were by far in a way a small agency that ultimately was able to capture a big fish and we did that by positioning ourselves as deeply involved in the specific client base that they wanted to pursue. Fred Diamond: Steve, that’s interesting because we talked about the government customer before. You just made a really interesting point that the customer had used an agency that wasn’t familiar with the demands and needs of the vendor as they sold into the particular marketplace, this case being federal. Talk a little bit about being a sales professional in a specific, focused industry. Steve Vito: As I said earlier, you have to have a sense of credibility if you want to succeed in sales. You have to be enthusiastic, you have to be credible and you have to convey to the prospect that you understand – in my case, the customer they want to sell to, the government market. You do that by doing your homework, doing homework is so important in any sales environment. I have, I think, a very strong understanding of the federal government, how they buy, when they buy, what they buy and trends in that, the policies that are impacting how and what they do in terms of making buying decisions and vendors that I sell to – advertisers and sponsors – they are very eager to learn that, to know that themselves. You can’t overstate how important that is to have a good understanding or empathy of what they’re trying to do and how you can help them better understand their selling process. 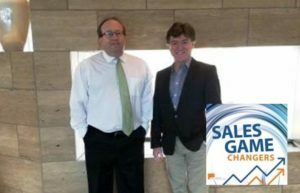 Fred Diamond: Steve, you’ve had a great career in sales, everyone we’ve interviewed in the Sales Game Changers podcast has. Did you ever question being in sales? Again, you started off selling newspaper subscriptions at the Providence Journal and you did it because you were desperate, but did you ever question being in sales? Was there ever a moment where you thought to yourself, “It’s too hard, it’s just not for me”? Steve Vito: Absolutely, no question about it. In fact, how I started, I was in graduate school going for an MBA in Boston College. I had done a piece of research for an ad agency on media. Fairchild Publications got a hold of the research, they liked it and they called me up and they asked me if I would be interested in working in their classified department selling recruitment advertising which back then was a big deal. My response was basically I laughed at them saying, “Oh, no, no. I’m an MBA. I’m not going to be selling classified advertising” but I’m so happy to this day I went on the interview, and they opened my eyes the amount of money the salespeople were making. Not only that, just the fun in that job so ultimately I took that job and I worked my way up in Fairchild. But sure, absolutely. I think the term sales represents everyone that sells a big airplane to someone that sells stuff in a department store. The jobs couldn’t be more different so I think you have to really take that term away and understand what specifically is entailed in that job. Fred Diamond: Steve, what’s the most important thing you want to get across to junior selling professionals to help them improve their sales career? Steve Vito: We hire some junior salespeople and I try to make it as simple as possible. Here’s the formula that I’ve always used. I learned this when I was at Fairchild by my boss and I have to tell you, it still works to this day. One, do your homework and that’s varied. Just have an understanding on who’s the best prospect, don’t waste your time on every company out there, don’t go attacking everything that moves. Do your homework and once you secure a meeting, do the homework on the client. Second, make a sufficient number of sales calls. Sometimes it’s just simply a numbers game, make as many calls as you possibly can and then third and I think quite honestly probably the most important, follow up, follow up, follow up. Sometimes you win by attrition. Every little bit of follow up you do eliminates some portion of the competition because they don’t follow up. So follow up, follow up, follow up. Fred Diamond: Steve, what are some things you do to sharpen your saw and stay fresh? Steve Vito: I don’t have any monopoly on all the secrets of selling so I’m out in the market a lot. I have no better joy than when I’m in front of a customer, so I make a lot of sales calls with our sales team. Steve Vito: Differentiation. It’s a competitive market and I think anyone in order to succeed you have to differentiate yourself. We have two guiding principles, one for our digital publishing and one for our events. For digital publishing, how we differentiate ourselves is we put out different content as we said, somebody’s described us as the Harvard business review of government technology so different content but presented differently so we use a lot of video, we use a lot of animation, lot of colors, things that aren’t typically found in government websites. For our events, the guiding principle there is a real simple one. Real content, no happy talk. Our goal is to have every attendee leave our events saying that they learned something. Real content, no happy talk so when a panelist gives you a bunch of jive, our reporter, our editor in chief will challenge it and she is a journalist and she wants to know what is the real content that we want to get at. Fred Diamond: Steve, sales is hard. You’ve talked about how the media world has changed dramatically, you’ve mentioned it many times. People don’t return your phone calls or your emails, it’s harder to get through people, you have less time like you mentioned. Why have you continued? What is it about sales as a career that keeps you going? Steve Vito: I’m a competitive person and I think I can’t imagine being in any other job that doesn’t allow me to be competitive so I’m a competitive person. I’m a people person, I can’t imagine doing anything else and relative to rejection, yeah, sure. Who doesn’t I don’t care if you’re in finance, I don’t care if you’re in HR manufacturing, you’re getting rejection somewhere. Everybody gets rejection, I don’t take it personal, I don’t even give it two thoughts, I just move on. Fred Diamond: Steve, why don’t you give us one final thought to inspire the Sales Game Changers listening around the globe today? Steve Vito: I’ll give you two quick ones. One, John Wooden in his many terrific books – John Wooden, long time coach UCLA basketball – he said, “Don’t get too high when you win, don’t get too low when you lose. Just try to keep an even temperament.” It’s so true in sales, you have to have a long term perspective. Second, if you try your best every day, which is not easily done, you will succeed. I once saw a great definition of professional, a professional is someone who tries their best even when they don’t feel like it and let’s face it, there are days you just don’t feel like it for a lot of reasons but in sales if you say, “Today, I’m going to give it my best shot” and you can do that every day, you will win in the long run.